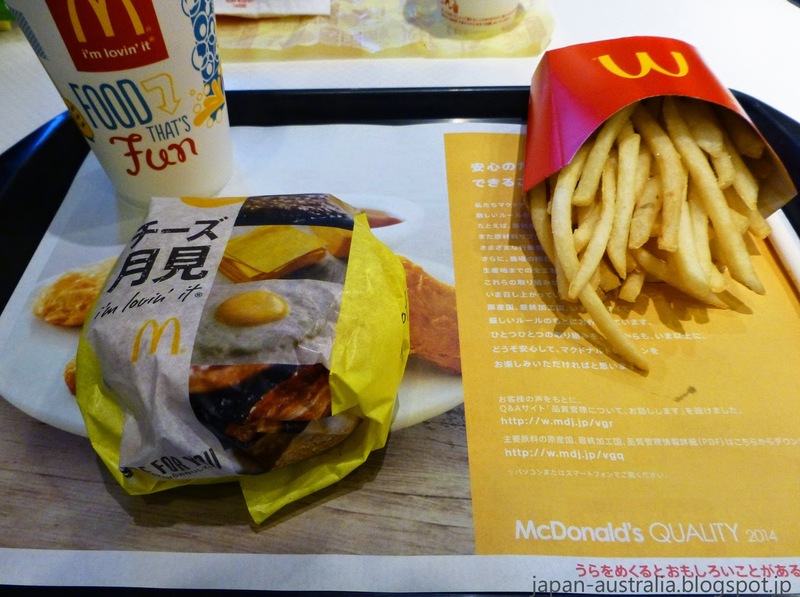 The Tsukimi Burger is back for 2014 at McDonald’s restaurants across Japan. The Tsukimi Burger is a sure tell sign that Autumn has arrived here in Japan and has long been a favourite of ours at Japan Australia. Autumn is considered a time to enjoy delicious seasonal food, cooler weather after the summer heat, and koyo (紅葉) which is viewing of the colourful Autumn leaves. 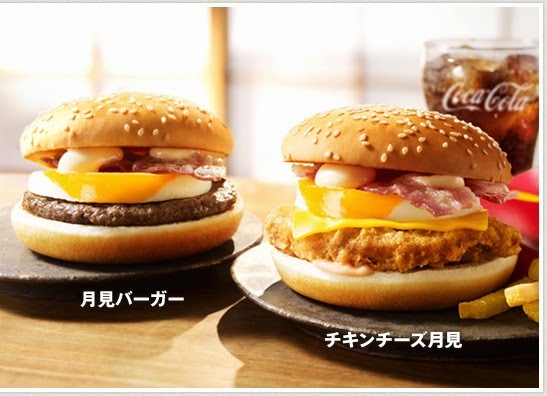 The Tsukimi Burger is only available for a limited time during the early Autumn in Japan and made its appearance back on the menu again on 3 September, 2014. It will remain on the menu until early October. The Tsukimi Burger contains a beef patty, smoky bacon, poached egg and a special sauce (ketchup mixed with Japanese mayonnaise). 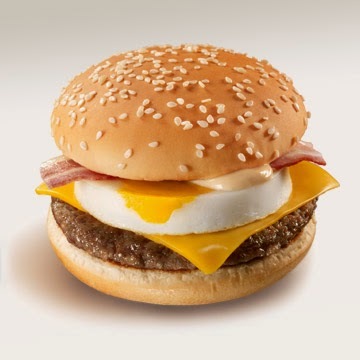 The Tsukimi Burger (月見バーガー) is named after the famous Japanese tradition of tsukimi (月見) or moon viewing, which is a festival honouring the bright Autumn moon. 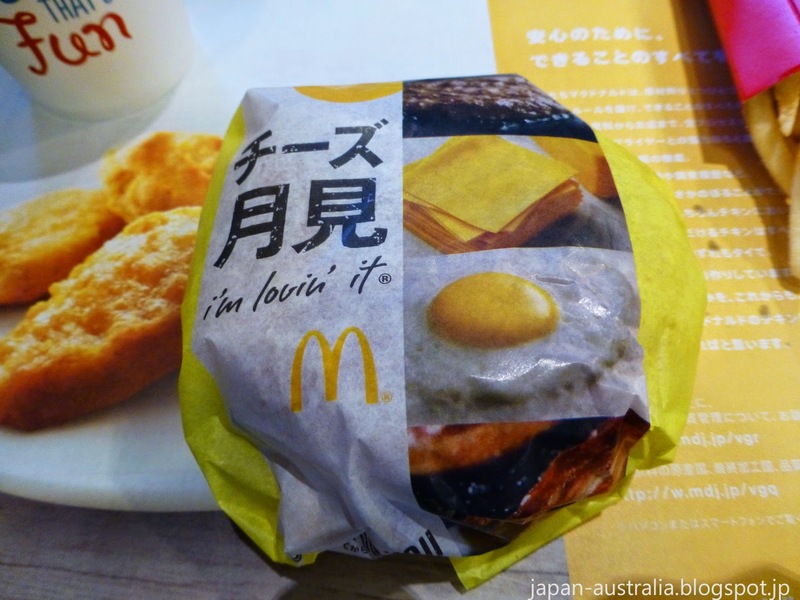 The poached egg in the Tsukimi Burger is said to resemble the Autumn full moon. Here is a breakdown of the egg and tsukimi. The egg yolk represents the bright Autumn full moon, while the egg white represents the white sky. The Tsukimi Burger first made its appearance on the menu way back in 1991 and has been a popular seasonal favourite ever since. 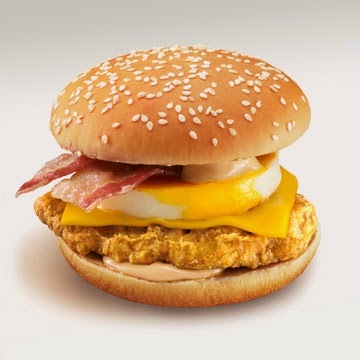 The Chicken Cheese Tsukimi Burger also makes a reappearance this year after its successful debut last year. Joining the Tsukimi line-up in 2014 will be the brand new Kinoko Tsukimi Burger, which is available from 17 September. 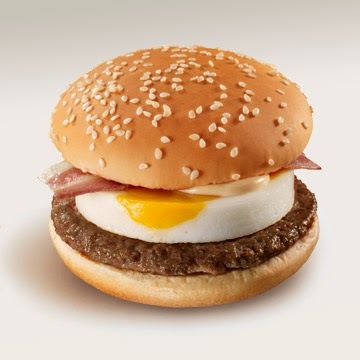 The original Tsukimi Burger as mentioned above contains a beef patty, smoky bacon, poached egg and a special sauce. It is available for 339 yen (USD$3.20). 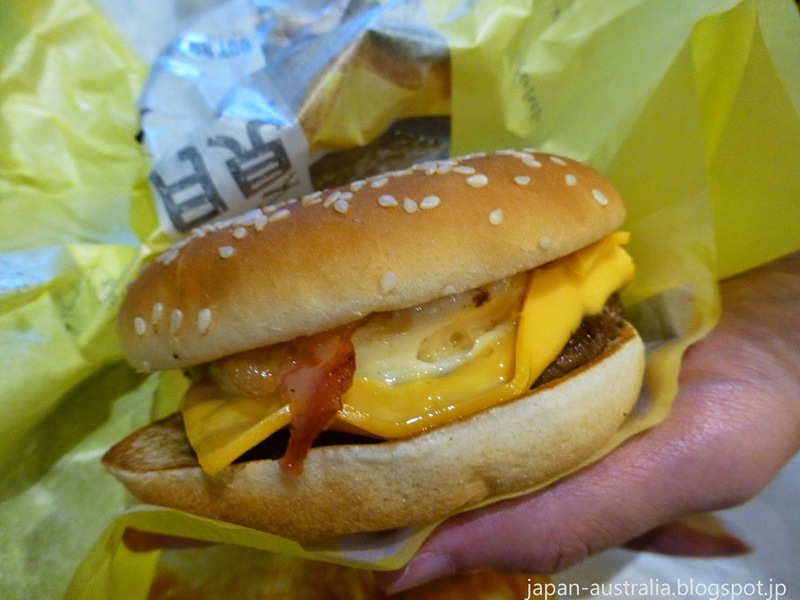 The Cheese Tsukimi Burger is our personal favourite and features the addition of cheddar cheese. It is available for 369 yen (USD$3.45). The Chicken Cheese Tsukimi Burger is back on the menu again and features a crispy chicken patty and two pieces of smoky bacon. It is available for 389 yen (USD$3.65). The Kinoko Tsukimi Burger is new for 2014 and features the addition of mushrooms, kinoko in Japanese to the burger. The burgers are only available for a limited time, so rush in if you want to give them a try. 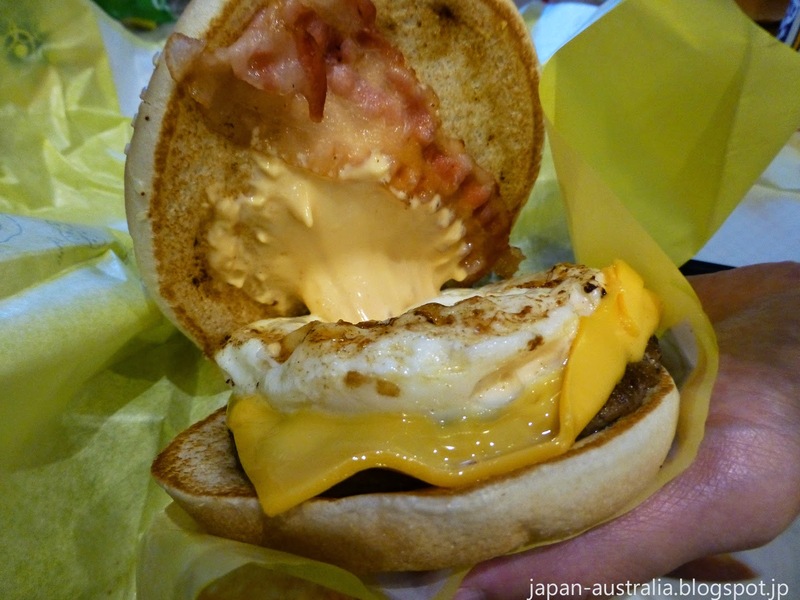 Japan Australia did just that and headed out to our local McDonald’s to get reacquainted with our good old friend, the Cheese Tsukimi Burger. Hi Herc, It is one of my favourites and I look forward to having it again each and every Autumn. I wish you could try it!